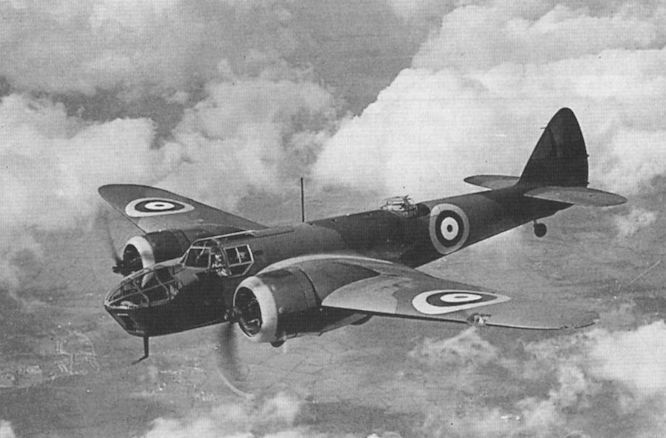 The prototype Blenheim, K7033, was completed in 1936 and first flown on June 25, from Filton. In November 1940 it became 2373M. 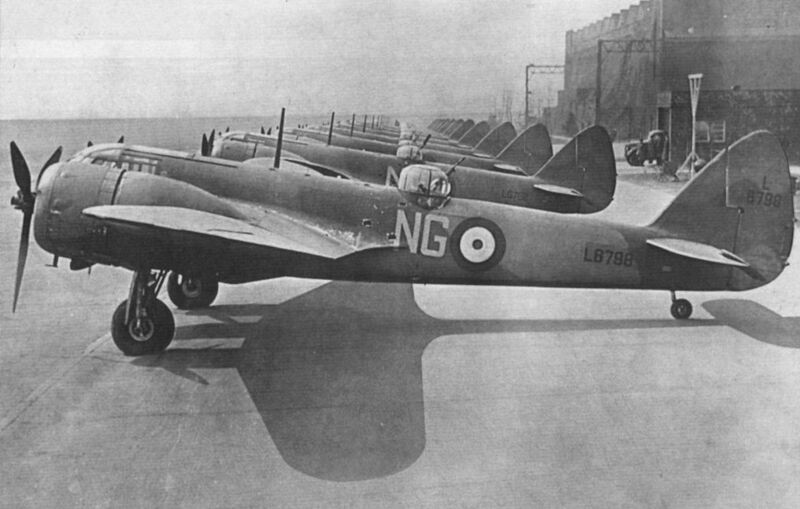 Line-up of 604 (County of Middlesex) Squadron Blenheim Is at Northolt in April 1940. The production line photograph was taken in April 1939 and shows Blenheim Is in the L8460 serial range. Aircraft L8466, left foreground, was delivered to 90 Squadron and passed to 17 OTU. On October 12, 1940 it crashed while taking off from RAF Upwood. Blenheim Is for the Turkish Air Force, 1938. 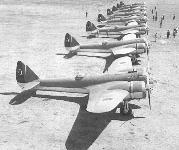 A total of 30 Blenheims was ultimately delivered and all but two were flown out bearing British civil marks in the G-AFFP-FFZ and G-AFLA-FLS range. 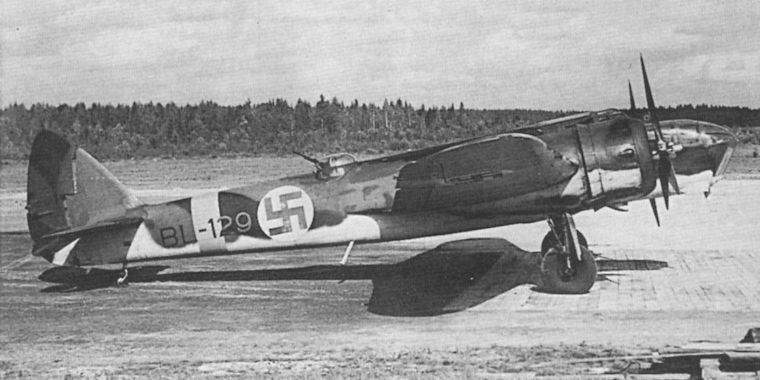 Finland also took delivery of a number of Blenheim Is, the first of which is seen here in 1938 fitted with skis for the Finnish Air Force. 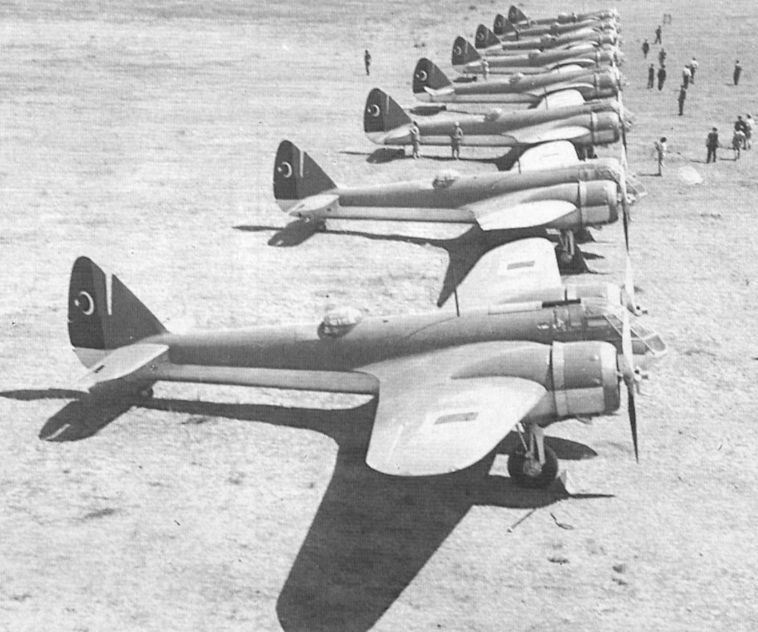 Blenheim I K7046 with only one under­carriage leg retracted. After service with 114 Squadron this aircraft went to 1 Electrical and Wireless School and then became 1329M in March 1939. Blenheim IV L4853 being flown by Bristol chief test pilot Cyril Uwins. This particular Blenheim was flown by No 2 School of Army Co-operation and crashed on August 5, 1940. Some Blenheims IVs were fitted with the four 0.303in gun pack beneath the fuselage and flew as fighters. 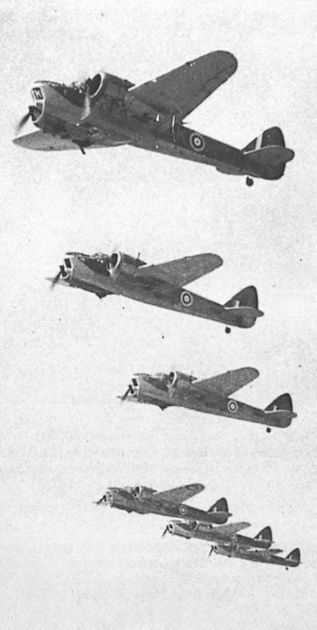 This flight of six Blenheims was photographed early in 1940. Blenheim IV V6083 of 18 Squadron, photographed in 1941. Note the twin 0-303in guns in the nose blister. This Finnish Air Force Blenheim IV was still being used for aerial photography in the Fifties. An evocative photograph of Britain First, the Bristol Type 142, K7557. 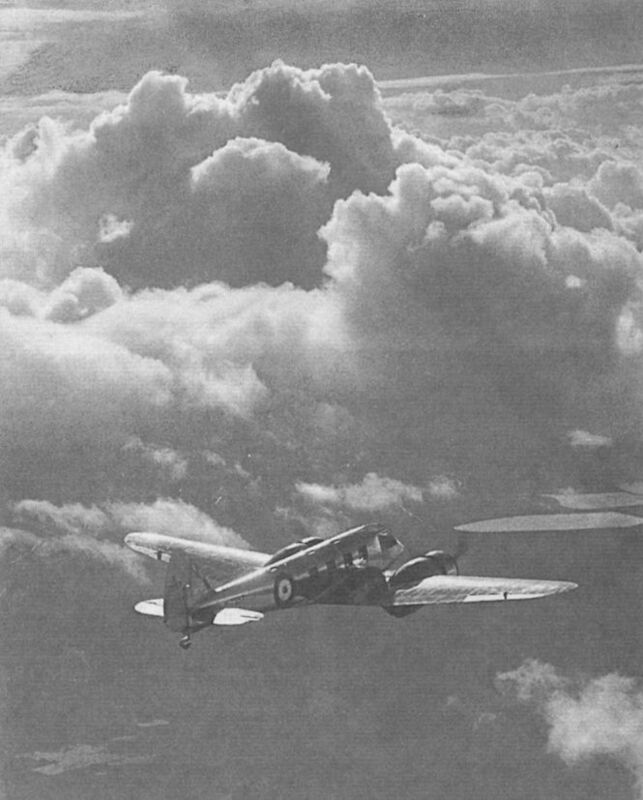 After flying with the A&AEE the aircraft passed to the RAF where it became an instructional airframe with No 10 School of Technical Training at Kirkham, as 2211M. It was scrapped in 1944 by Morris Motors at Cowley. The Bristol Types 142 and 143 on view at the sixth SBAC display at Hatfield in June 1936. Though the two aircraft are generally similar the engines are different and the nose of the Type 143 is noticeably longer.